As Nigerians are set to elect a new president on February 16, the Independent National Electoral Commission (INEC) has promised it does not intend to postpone any of the elections as a result of court orders coming close to election schedules. 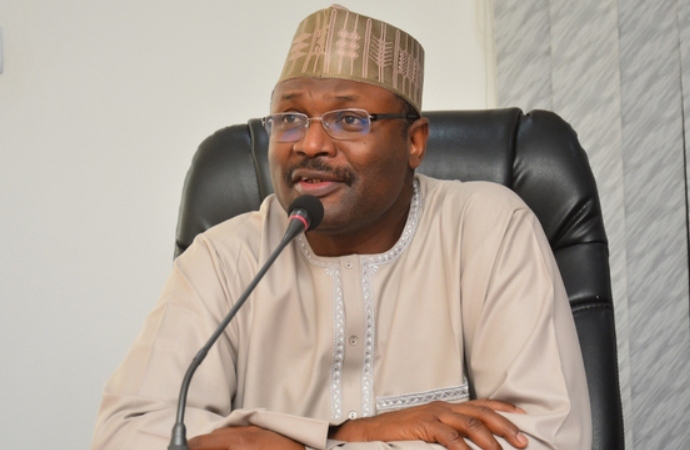 Chairman of INEC, Prof. Mahmood Yakubu, made the position known at a National Stakeholders’ Forum for 2019 General Elections, organised by the Commission on Thursday in Abuja. He said that the Commission had been receiving court orders in which some had been conflicting or contradicting. He said that the Commission had been operating on the principle of latest order. “If two courts make a pronouncement on a matter, we go by the latest in time. “In the case of one of the judgments, the two judgements came on the same day; the Commission has to take a decision. “My assurance to stakeholders and Nigerians is that INEC will always obey court order. “ The next question we are going to ask is that what if the court order comes close to election, will INEC postpone elections? “No. INEC does not intend to postpone any election. “We will operate based on the order that we received but the Commission has also made contingency plan in case some of the orders come close to the elections. Yakubu said that party congresses and primaries for the 2019 general elections had been the most contentious since the return to democracy in 1999 as court 640 cases had arisen from them. INEC has been dragged to court 640 times on the conduct of parties primaries. “We have received 540 requests for certified true copies of documents and some of these will end up in court. “In addition, we received 186 protests and petitions for the conduct of congresses and party primaries. He said that the Commission was working closely with the security agencies to ensure security during the elections. He said provision had been made to ensure that internally displaced persons and physically challenged persons, such as albinos and the visually impaired, participated in the elections by providing them necessary aids for voting. The Project Coordinator, European Centre for Electoral Support, , Mr Rudolf Elbling, urged all stakeholders to support the growth of Nigeria’s democratic system. “Use your offices and institutions to support INEC and participate fully in every aspect of the electoral process,’’ he said.